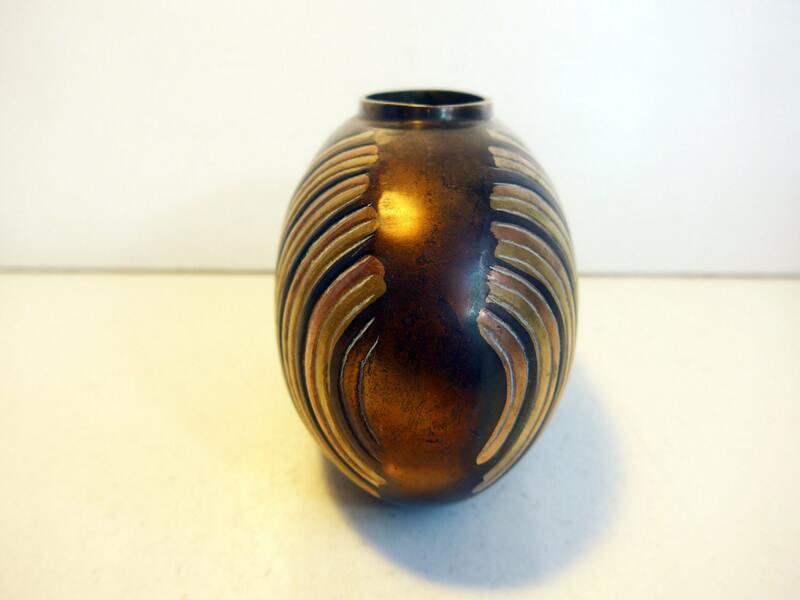 Unique shaped vase - this piece is an oval shape, but looks an awful lot like a trendy and chic flying saucer. 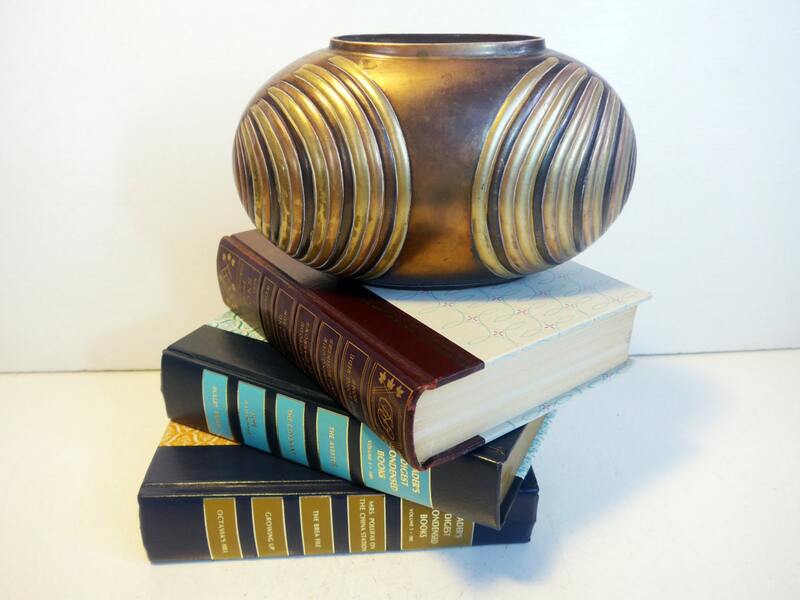 Whether using it to display a plant or floral arrangement it is sure to elevate the level of beauty in your home decor! 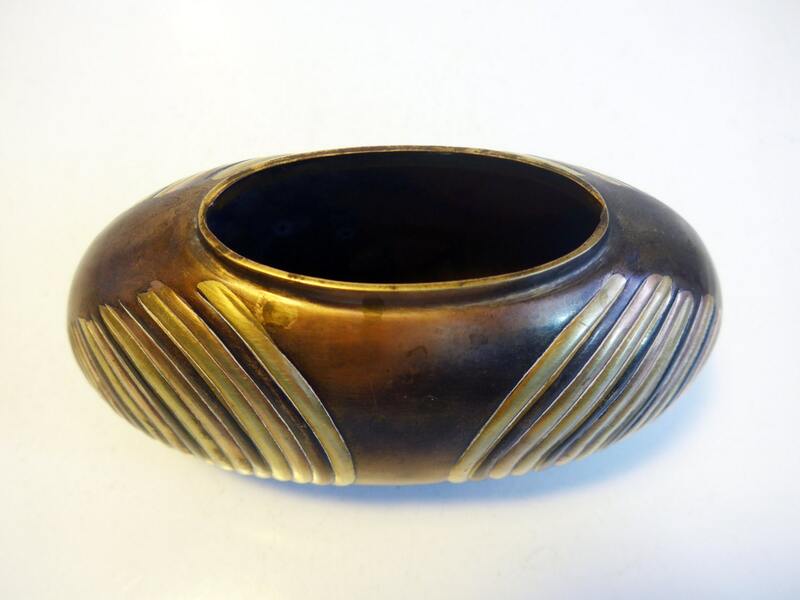 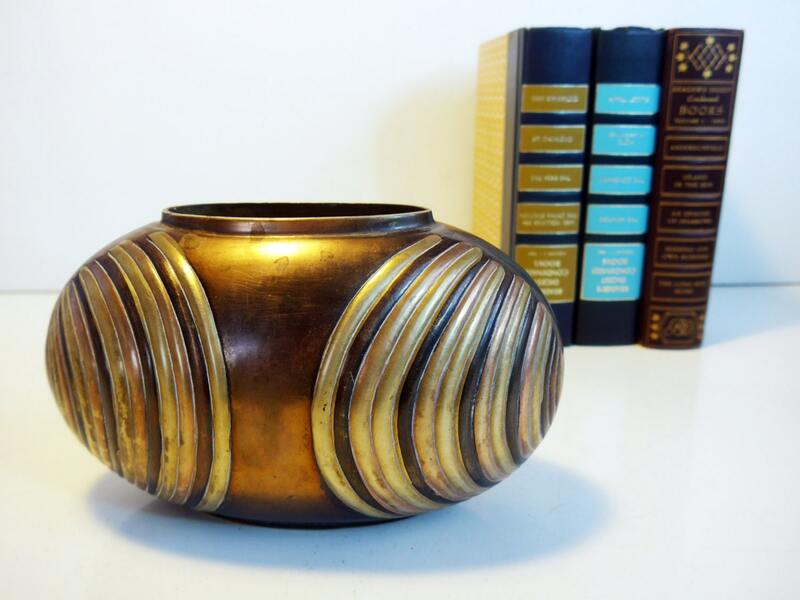 This mid century piece is Solid Brass and has a great design on the rounded ends. 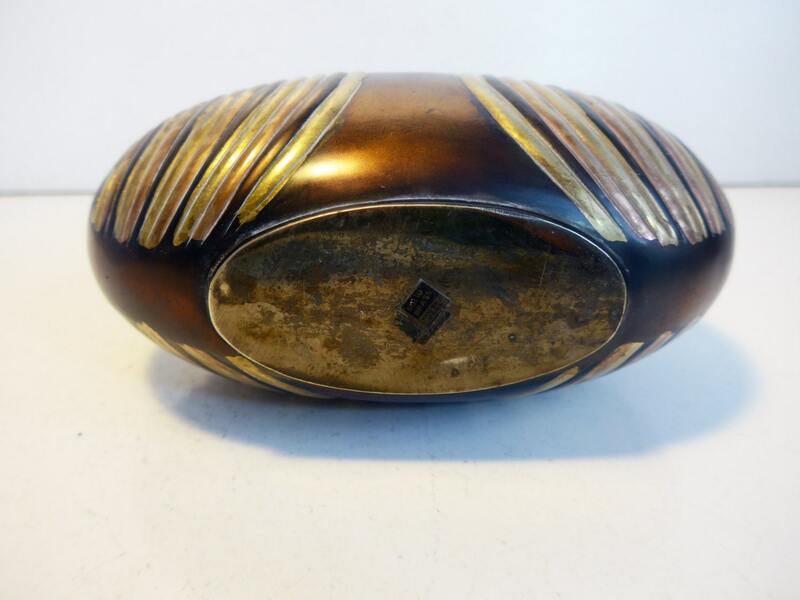 It is in great vintage condition with lots of patina, and like all vintage brass may love a little polish if you so desire.